In April of this year, the Conservative government updated the fees being charged to apply for different visas, as well as naturalisation. In most cases, the fees were increased at least slightly, and for some applications, the increase was substantial. The cost of applying for Indefinite Leave to Remain went from £1,875 to £2,297 – an increase of £422 or 22.5%. The rise in fees is even more remarkable if we look over a slightly longer period; in May 2010, the cost of applying for ILR was £840. The price has thus increased by 123% in less than a decade. As Colin Yeo points out, these fees are often considerably more than the actual cost of the visa. The actual cost of processing an ILR application is £252 – so the Home Office is making over £2,000 profit per application. The justification for this profiteering, given in the explanatory memorandum, is both fascinating and deeply troubling. The memorandum states that it is the intention of the Home Office to make the entire “border, immigration and citizenship (BIC) system” self-funded by 2019-2020, “thus relieving the burden on the taxpayer.” Presumably immigrants and their families don’t ‘count’ as taxpayers for these purposes. 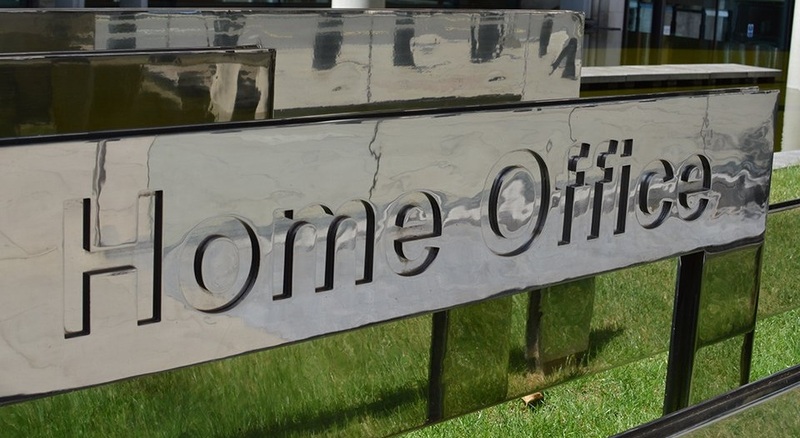 The Home Office must therefore raise enough money through visa and naturalisation fees to cover all of the costs of the BIC system, including those not directly related to visa and naturalisation applications. The other reason given for the high visa fees is the “the value of the benefits and entitlements conferred by a successful application”, including “unrestricted access” to the labour market, and “unrestricted access to the state education for their dependents.” This needs unpacking. For the first ‘benefit’, access to the labour market, we must remember that people who work in the UK pay income tax in the UK. The government is quite literally arguing that migrants should pay extortionate visa fees in order to qualify for the ‘privilege’ of paying taxes to the government. The second supposed ‘benefit’ is more disturbing. Last year, for the first time, the government began collecting information about pupils’ citizenship and country of birth, as part of the school census. Among the many reasons this should be opposed, is that the government’s stated purpose – to “effectively measure the impact of foreign nationals on the education sector” – sounds ominous in light of debates about the supposed ‘burden’ migrants pose to the welfare state. It has become common to blame immigrants for the shortage of school places in many parts of the country. Indeed, during the 2015 election, Nigel Farage suggested that immigrant children should be excluded from the state school system for 5 years after arriving. Yet, while immigrants make an attractive scapegoat, the actual blame lies with the 2011 Education Act, which requires that all new schools be (privately-run) free schools. Consequently, local authorities are unable to open new schools, unless they can get special permission from the Department of Education. The government has thus created a situation where, in their efforts to privatise the education system, they have made it next to impossible for local councils to respond to changing demographics in their area, whether it be a baby boom, or families moving into new-build housing. This has only been exacerbated by cuts to schools funding. The explanatory memorandum perpetuates the myth that immigrant children are to blame for a shortage in school places. Rather than recognising that all children have a right to an education, the memorandum paints immigrant children as an economic burden on the education system, justifying extortionate visa fees. This can only add to concerns that, just as the 2014 and 2016 Immigration Acts tightened restrictions on migrants’ access to the NHS, the government may move, in future, to restrict migrants’ use of the state education system. There is, of course, another obvious reason for fee rises, not discussed in the explanatory memorandum: for the UK government, the ideal migrant is a wealthy migrant (or the spouse of a wealthy citizen). These fees may literally serve to price people out of settling in the UK. Nonetheless, what the government is willing to put into writing, and make available to the public, tells us a lot about how the government views migrants and their children, and what relationship they have to the welfare state. In short, migrants should be willing to subsidize entire government sub-departments and be grateful for the chance to pay taxes, while having no expectation of receiving any benefits from said taxes, even basic human rights like the free education of their children.